Residents of occupied Simeiz (Bolshaya Yalta) came to a protest rally on May 6, during which they demanded "local authorities" to open the beaches. People urged the so-called city leadership to deal with the problem of access to free beaches, in particular, to the beach "Bashmak." “This problem has not been solved for years. Many of the locals are officially earning with rental housing, and restricted access to the beach will negatively affect the attractiveness of their facilities for the guests of the resort,” said one of the protesters. QHA reported that in occupied Yalta, the beaches were fenced off before the start of the tourist season. 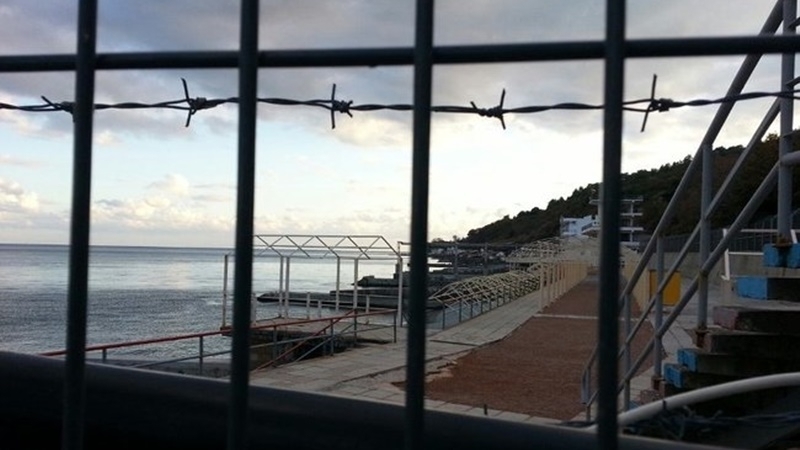 From the beach Delfin to Livadia, the invaders installed a fence with barbed wire. Earlier, the occupation authorities began to install the fences around the bus station in the annexed Crimea. Passenger transport company "Krymavtotrans" noted that such measures "are taken to prevent the arrival of illegal carriers."